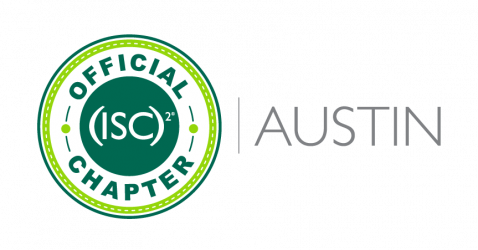 Welcome to the (ISC)² Austin Chapter! We will advance the field of information security by educating practitioners and the public at large on how to protect and defend against security threats. Promote information security awareness and best practices in the IT industry as a whole wherever possible. Learn more about the benefits of becoming a Chapter Member, visit our Membership page. Community members who are interested in or passionate about information security. (ISC)² credentialed professionals who hold either an SSCP, CAP, CSSLP, and/or a CISSP or advanced concentration certification. Our chapter program is focused on sharing knowledge and exchanging ideas among security professionals in the Central Texas Region. Meeting attendance may be used as CPEs for (ISC)² and other organizations’ certifications. Chapter business meetings are held monthly. Professional events and activities are held at various times throughout the year. Visit our Events page for our calendar of upcoming meetings and events! We would like to extend a big thank you to our platinum sponsors Indeed, Bitdefender, Carbon Black, and AlertLogic. (ISC)² is an international nonprofit membership association focused on inspiring a safe and secure cyber world. Best known for the acclaimed Certified Information Systems Security Professional (CISSP®) certification, (ISC)² offers a portfolio of credentials that are part of a holistic, programmatic approach to security. Our membership, over 130,000 strong, is made up of certified cyber, information, software, and infrastructure security professionals who are making a difference and helping to advance the industry. Our vision is supported by our commitment to educate and reach the general public through our charitable foundation – The Center for Cyber Safety and Education™️. Visit www.isc2.org.